Of course the initial plan was to not spend too much money on a) something that I’m not very skilled in using and b) something that I haven’t swatched in person. 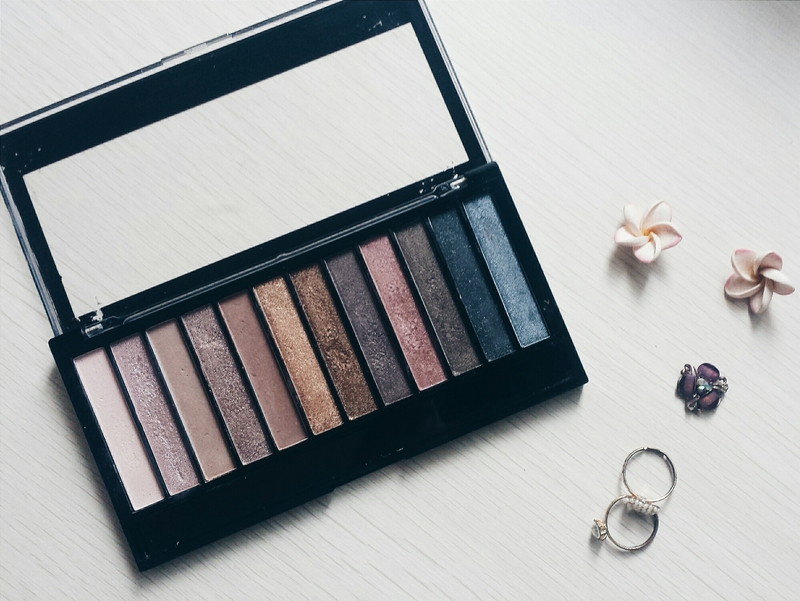 But this palette made me purchase it because a) the Makeup Revolution brand is known for Naked eyeshadow palette dupes and b) the colors are beautiful and wearable for me. I bought this at Beauty Shop PH for PhP 450. I think it’s reasonably priced for a 12-shade palette. But I’ve seen this palette being sold for lesser prices. Off the bat, I hated the packaging because it feels flimsy, but it does click when being shut. The palette I got had scratches on the cover, which the shop attributed to improper shipping. But I have a feeling that this might be a dupe or that it wasn’t QA-ed prior to shipping. See how the label in the front has already faded off? I don’t know. -.- I feel like if I drop it once, it’s going to break into two or just entirely fall apart. It comes with a sponge applicator, which I never use because sponges are like greenhouses for germs. 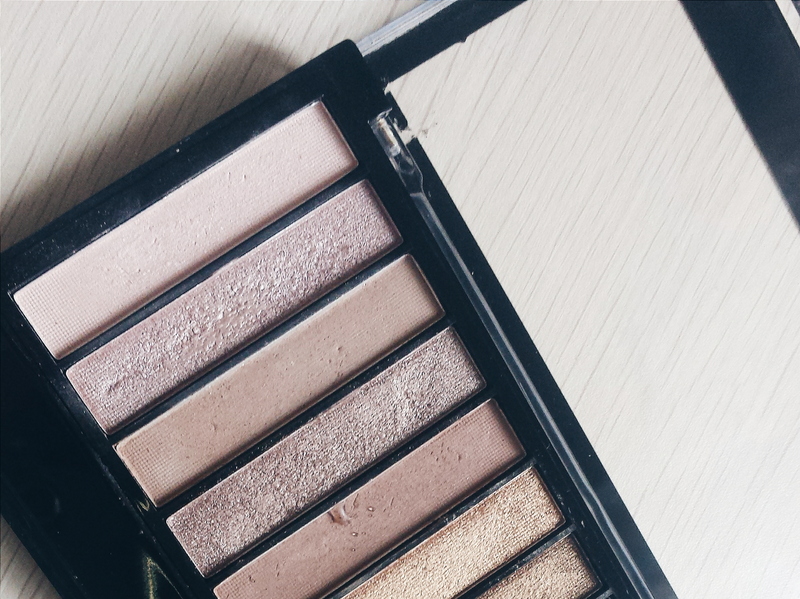 I got the Iconic 1 palette, which is said to be a dupe for Naked 1. 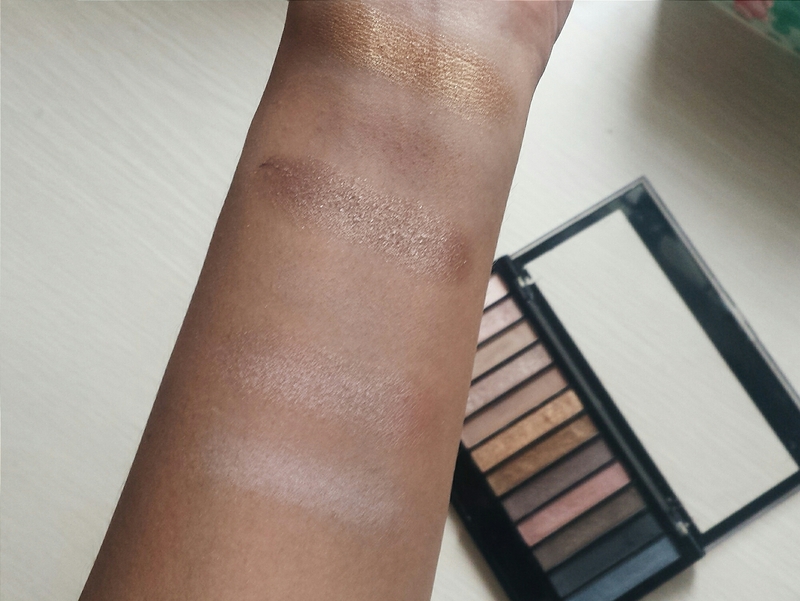 I don’t have the Naked 1 palette so I can’t compare, but based on images on the web, the colors are pretty close. Seen above from top to bottom are dupes for Virgin, Sin, Naked, Side Car, Buck and Half Baked. I had a hard time swatching and getting pigmentation out of these lighter shades. I mean, Buck and Naked were practically invisible on my skin. These on my arm took about 3 – 5 back-and-forths on the palette. Out of these, I experienced the most fallout and even a little fallout-clumping from Buck. I have used Sin to strobe, and with a light hand, it works wonderfully. Out of the lighter six, my favorites for the eyes are Side Car (a Naked 1 favorite as well) and Smog, and they are the most pigmented as well. Look at how beautiful the darker colors are! 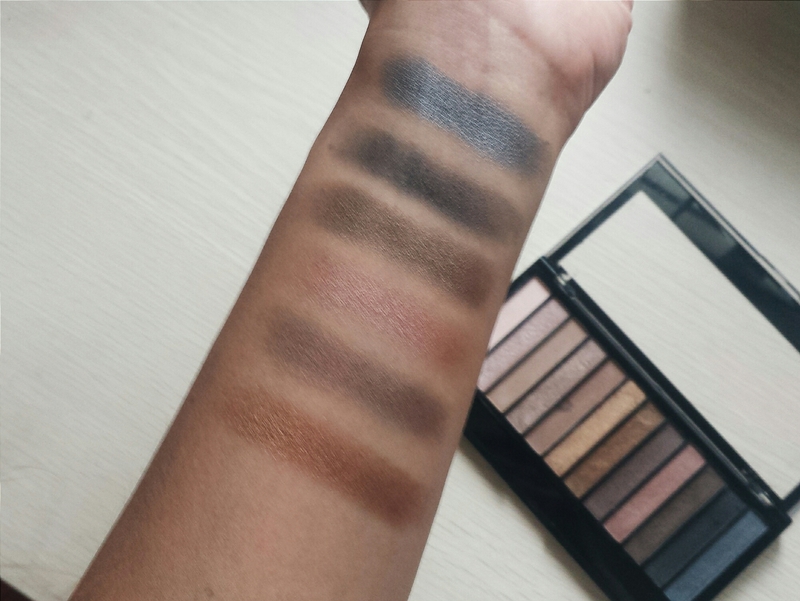 Seen above from top to bottom are dupes for Smog, Dark Horse, Toasted, Hustle, Creep and Gunmetal. 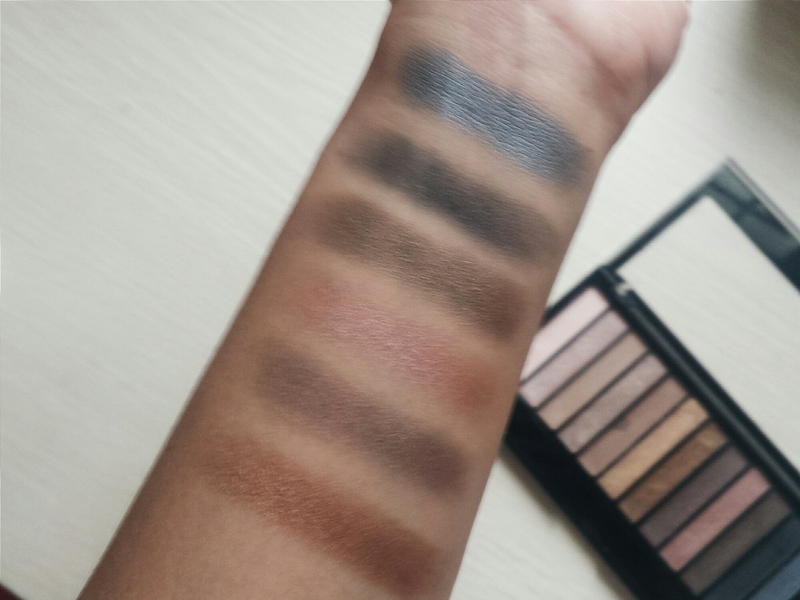 Of the twelve shades, only Buck and Naked are matte, Hustle is a satin, and the rest are shimmers. Some of these do have micro-glitters in them, like Half Baked, Side Car, and Gunmetal. Somehow, without any primer on, some shades last me the whole day so that’s a thumbs up! 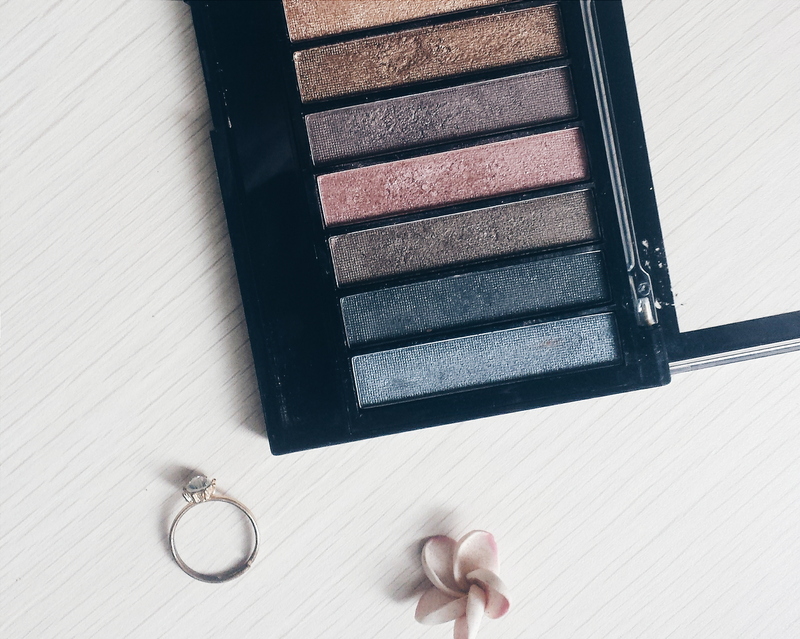 It’s a nice palette, but I don’t like that most of it are shimmers (lack of research on my part he he) because heavy shimmers make my protruding eyes more protruded. But I do love how pigmented the darker shades are and that they somehow have earthy tones in it. Loved this, your pics are fab! Fab blog by the way, followed you 🙂 would love if you checked out mine. 20 shades!!! And Revealed 3’s colors are ❤ I'm looking for matte palettes though. Haha no Kux, walang names yung shades, nirefer ko lang sa kung anong shade yung katumbas sa Naked 1. 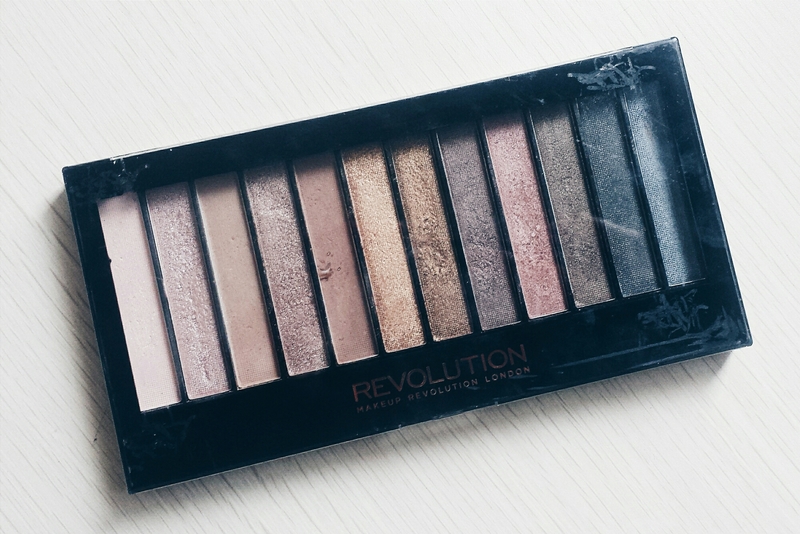 I’ve yet to try Makeup Revolution products. 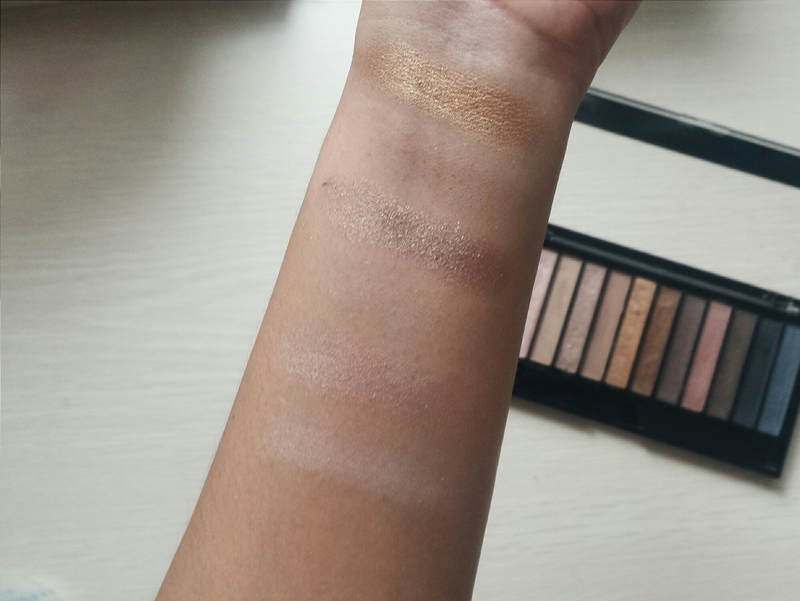 I wanted to give their eyeshadow palettes a shot but the pigmentation on this is very disappointing. Baka mag LA Girl nalang ako. They have a dupe for the UD Naked 3 which I really really wanted to buy but find too expensive!